Bring about changes in the groups or communities that we belong to playing a game of Go Deep! 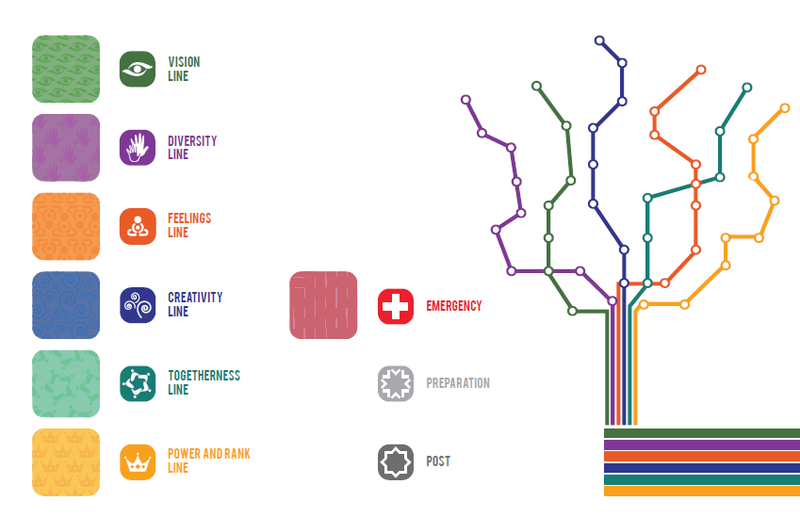 The “Go Deep game” is a game that supports and facilitates groups that want to create “lines” of connection between the individual and the community, following the principles of Process Work and Oasis game. The game wants to stimulate the participants, especially the young, to be active, aware and part of the community and its changes, through a process of small training courses and empowerment inspired by the methodologies of non-formal education On the themes of being together, of emotions, of VISION, of diversity, of rank, of creativity, in groups.